How are you all? The last couple of weeks have been crazy busy here, hence my absence. I had a wonderful weekend away in Spain with my friends – we partied hard! Then I hit the ground running last week when I got back, as not only did I have a lot on at work, but renovations also started on my kitchen, which is proving to be a bit of an epic saga! 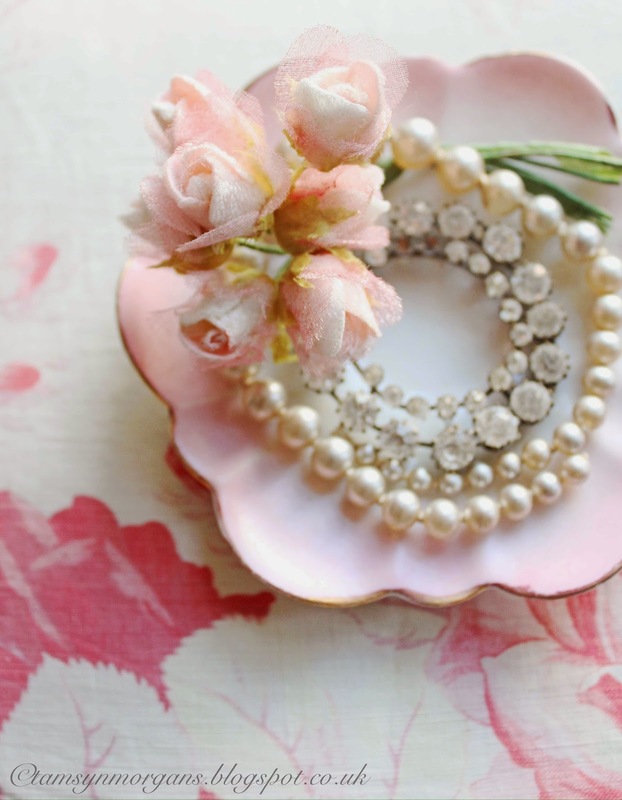 As you know, I’m a big fan of posting pretty things (hence the picture above!) and finished interiors, but I’m going to share some ‘work in progress’ pictures with you today too. So, my builder came to do two jobs, the first being to block up an old door and replace with a window. The second job is to dig up the concrete floor (au revoir sticky old linoleum!) and to lay a traditional wooden floor. 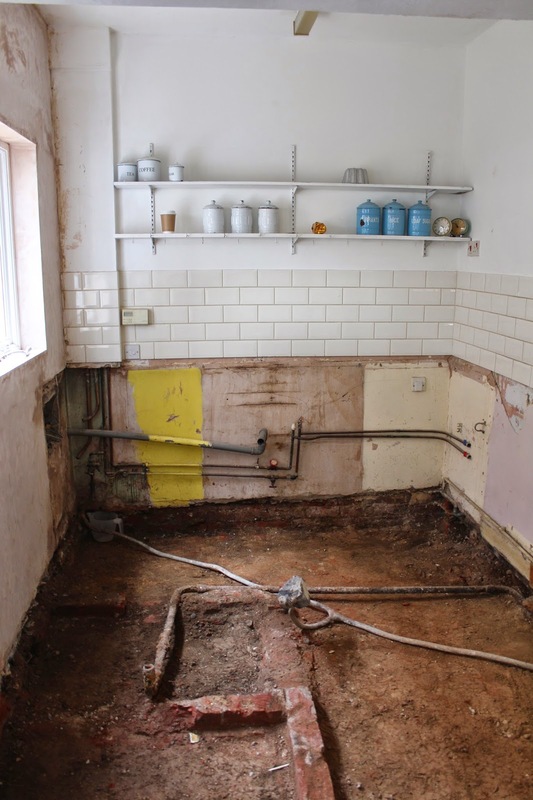 As is often the case with old houses that haven’t been looked after, there were some nasty surprises hidden behind the walls and under the floor…a dodgy wall and leaky defunct boiler? Got the t-shirt! Dry rot? Been there, done that! Woodworm? Pfft! I’ve wanted to stick my fingers in my ear and shout ‘la la laaaaa!’ every time the poor builder has texted me with more bad news. So, we are currently living on a bit of a building site, with kitchen paraphernalia stacked in every available corner, which can be a bit of a trying experience. 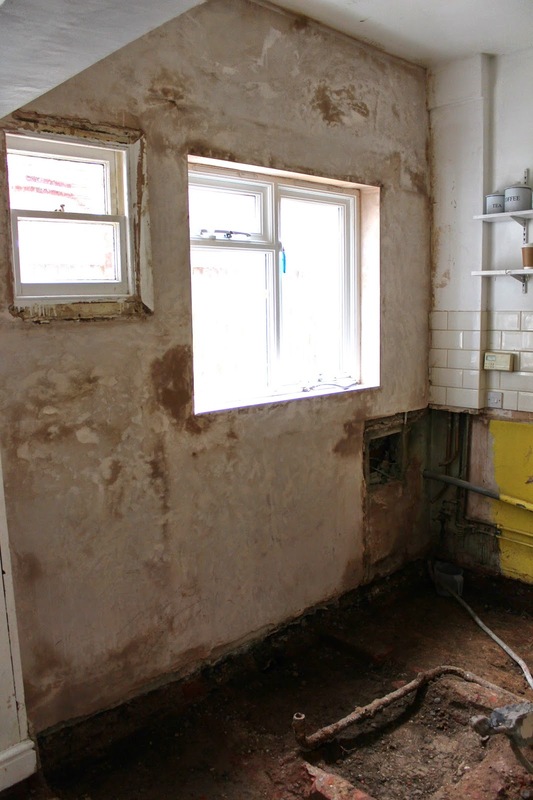 What I keep reminding myself, is thank goodness we discovered all this now before it gets worse, and that it’s all progress towards getting a fabulous new kitchen. The new floor will go down next week, and I will take some snapshots – I’m also planning to photograph my next Styling the Seasons post this weekend which I’m looking forward to sharing with you! Hang in there – eventually it will all get put back together and I know it will be absolutely lovely because you have the most charming and creative decorating style. I have gone through several kitchen reno's and honestly, it never seems to get easier, but the end results always make the tortuous process worth it! Wishing you much luck with this project and so looking forward to seeing the finished kitchen.